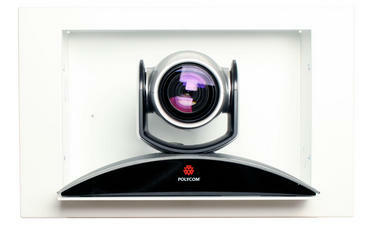 The IN-Wall Enclosure for the Polycom EagleEye is designed and sized to fit the entire PTZ camera system including the camera, EZIM and dongle to enable the use of Cat. 5 cabling. WallVIEW PRO EagleEye / EagleEye II / EagleEye III High Definition Pan/Tilt/Zoom Camera System based on the Polycom EagleEye (camera not included).